The government realised before the war broke out that volunteers would be important to the war effort. To motivate people to begin volunteering they published a number of powerful speeches and persuasive posters. After the air raids on Britain during the First World War, the government feared that air raids by German bomber aircraft would threaten people in the UK again. 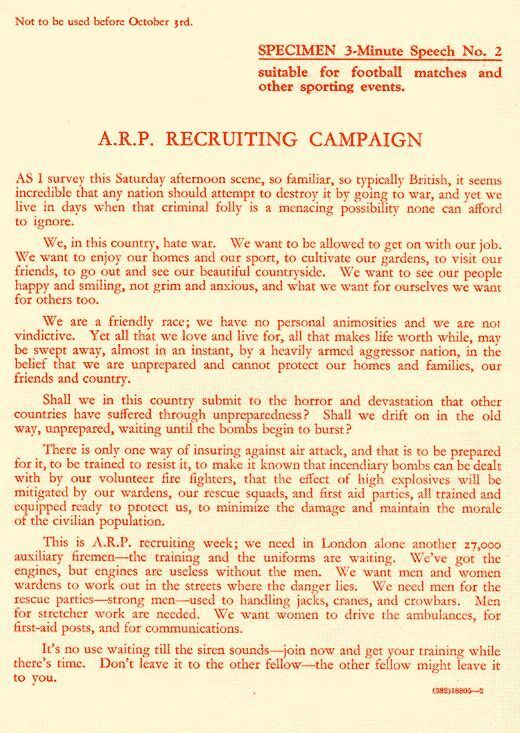 The ARP was set up to organise public air raid shelters and made sure people kept to the Blackout precautions. German bombers could use any light sources to navigate, people had to use 'blackout’ on their windows - putting up thick curtains or painting the windows black. Street lights were extinguished and even bicycle lights were not allowed, so many people had accidents in the dark. The ARP also helped rescue people after air raids. Some women became ARP ambulance attendants - giving first aid to casualties, searching for survivors and recovering bodies. The two photographs on the right of this page show women performing some of their duties as ARP wardens. 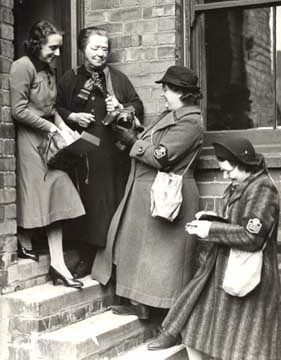 The Women’s Voluntary Service was formed as the women’s side of the ARP. They had no uniform and were all volunteers. 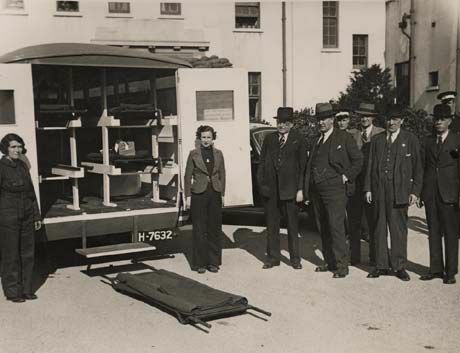 In the first few weeks after war broke out in September 1939, WVS volunteers sprang into action to assist with the mass evacuation of schoolchildren all over the country, making sure that children found foster parents and checking that they were well cared for. They made bandages and knitted and sewed clothing, like scarves, vests and pyjamas for soldiers; salvaged objects that could be recycled; ran mobile canteen services during air raids and for troops arriving at ports and railway stations. But the WVS was particularly appreciated during the Blitz on London, as they cared for people whose homes were bombed and found them clothing. However, their work was not without risks and 241 of WVS members were killed. Why do you think the government used volunteers instead of the army for the work the ARP and WVS did? How do you think people felt about blackout? What other kinds of changes to daily life do you think there might have been in WW2? Why do you think the work of the ARP and WVS was important? What do you think evacuation involved? Why were the WVS needed? 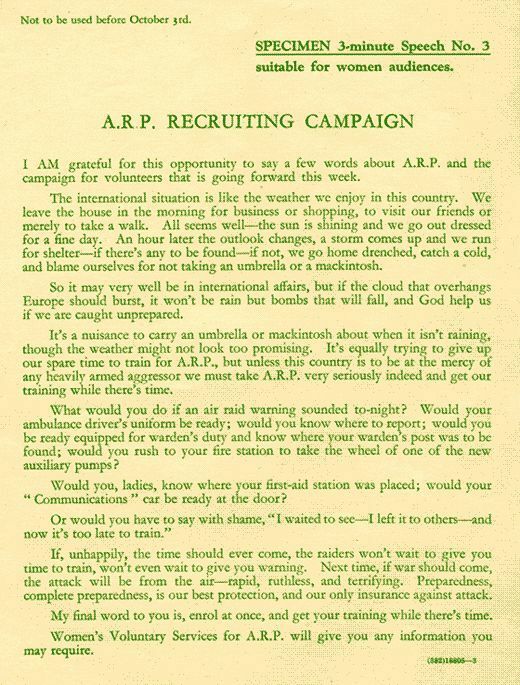 Comparing sources: Read both versions of the ARP recruitment speech. Pick out the key differences between the speech for men and the speech for women. - What arguments are presented by the writer? - Which of the two speeches do you think is most effective, and why? - Why do you think there were two different speeches? - What does this suggest about how men and women were seen at the time?